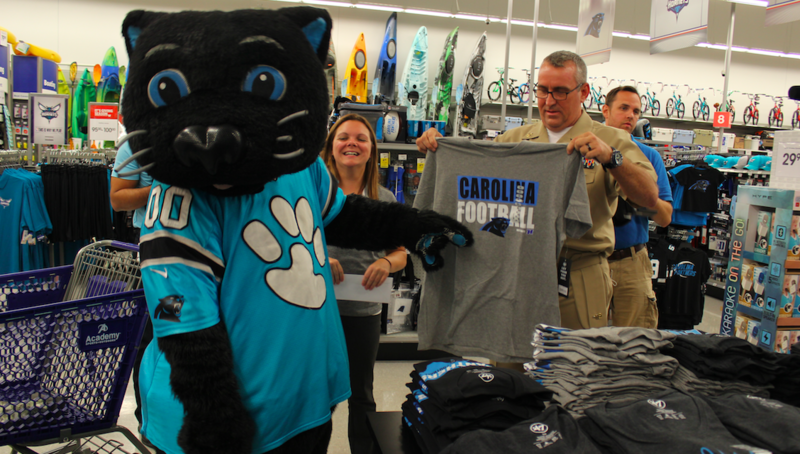 Academy Sports + Outdoors partnered with the Carolina Panthers to surprise a local veteran and his daughter with a $300 shopping spree to shop for Panthers products with Panthers lineman Damiere Byrd, Sir Purr, and cheerleaders at its location in Concord, NC. Additionally, the veteran, David Danielewicz, was surprised with four suite tickets and sideline passes to the Panthers’ Monday Night Football game on November 13 against the Miami Dolphins. Academy operates more than 240 locations.